The American Shakespeare Center is traveling to UMPI from Virginia to deliver this performance. 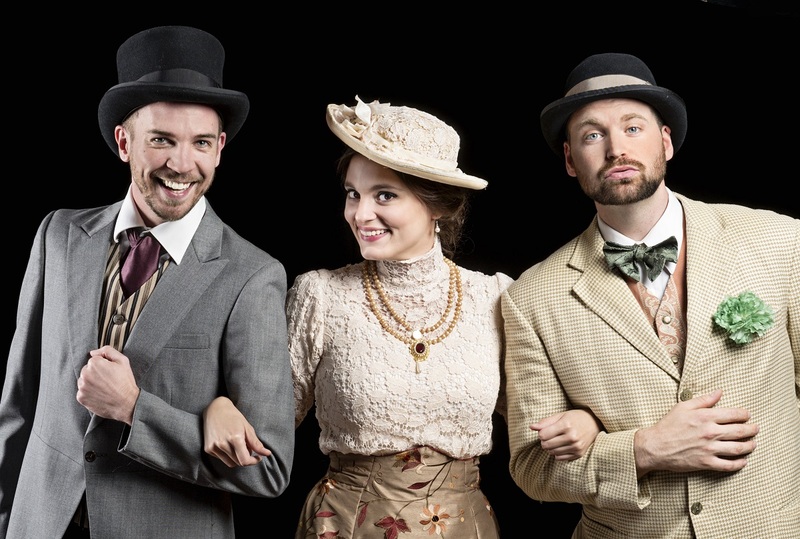 A “trivial comedy for serious people,” The Importance of Being Earnest is at once blissfully silly and outrageously shrewd, and is a theatrical delight. 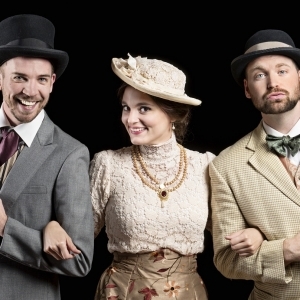 More than a century after its first performance, this play continues to entertain audiences with its playful language, charming characters, and biting look at contemporary society. In the play, Jack Worthing, a pillar in his small community, loves Gwendolen Fairfax but runs into several obstacles in his efforts to marry her, not least of which is the double life he leads—he created an imaginary and black sheep of a younger brother named Ernest so he could assume that identity during his frequent visits to London. Add to that the problem of Gwendolen’s mother Lady Bracknell refusing to let her daughter near him after she discovers his questionable family relations (he was found as an infant in a handbag in Victoria Station), and the complication of Jack’s good friend Algernon Moncrieff also pretending to be Ernest to win the heart of Cecily Cardew (the young ward Jack is responsible for), and the fact that both Gwendolen and Cecily decide that they both love Ernest, and you have the very complex makings of this play that has been delighting audiences for generations. This performance is part of the troupe’s 2015/2016 Dangerous Dreams Tour. The tour will take them through the Mid-Atlantic and New England from September to November 2015 and the South and Midwest from January through March of 2016. The American Shakespeare Center has been producing English Renaissance plays in a bold, fresh style, bringing Shakespeare and other early modern works to communities across the country and around the world since 1988. Direct from the stage of the Blackfriars Playhouse in Staunton, Va., the ASC On Tour employs Shakespeare’s own staging conditions to break down the barriers that traditionally separate performer and audience. For more information about the American Shakespeare Center and its upcoming performance, please visit: www.americanshakespearecenter.com. For more information about the play at UMPI, please call 768-9452 or e-mail umpi@maine.edu.